More people are turning to e-cigarettes to quit smoking than ever before, even though the products cannot be marketed as approved smoking cessation devices. The sale of nicotine gums and patches are declining as people look to "vaping" to meet their nicotine needs, Reuters reports. The global e-cigarette market is worth $5 billion. The nicotine replacement industry has grown exponentially in the last few years; in 2014 product sales worldwide grew 1.2 percent, to almost $2.4 billion, according to the article. The United States accounted for $900 million of those sales. Big tobacco companies, such as Altria, Lorillard and Reynolds American dove into the e-cigarette market with their own versions of liquid smoke. While the devices are not approved for smoking cessation, it doesn’t mean that there are not success stories. In fact many have cut back their tobacco intake, and some have quit tobacco altogether. Marty Weinstein, 58, a Connecticut taxi driver who had smoked for more than 20 years decided to quit smoking. With the aid of an e-cigarette, he went from a pack a day nine months ago to the equivalent in nicotine of four or five cigarettes. "I fully understand I'm still addicted to nicotine," said Weinstein. "But I'm now so much healthier." Many smokers that have tried patches and gum experienced little success, which makes using an e-cigarette worth a shot. 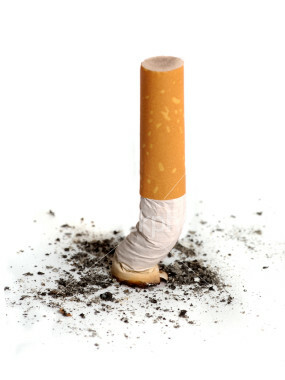 Doctors acknowledge the low efficacy of traditional ways to quit smoking. "They have better results than placebos, but their rates of success are quite low," said Dr. Michael Siegel, a professor at the Boston University School of Public Health. The use of e-cigarettes is still in its infancy, so there is not much data on health problems associated with vaping. But, many argue that vaping is certainly healthier than smoking tobacco, and may actually be an effective aid in quitting altogether.